I have also had this working with. If don't know or remember any thing about the password for your Excel file, choose the Brute-Force, which will try all the probable combination to recover password for you. Then i found another solution that even retrieve password, not just crack it. Here are two other online Excel password recovery tools you can check out: Hopefully, one of the tools above will get you into your password-protected Excel file! But if you're interested on cracking it. This can be handy if you unlock a dashboard that has all of the tab navigation hidden. If your password is note on a document, create a password dictionary with it, and then choose the Dictionary attack type, that will find your password in a soon. Google about it to understand more on this. You should use this power wisely and responsibly only to unlock your own worksheets. As you can see below, an explanation of each specific worksheet is given, displaying what action if any was taken. The Protect Sheet window will open. What do you do then? Follow this article, and use the software on the method to efficiently and no any damage. The passwords, or the encrypted versions of those passwords are stored within the binary file. Put the code from modules in. Also a good idea to make an unprotected backup of the project and keep a copy of the password where you can find it in the unprotected backup. Rename the file extension to. This will open the general declarations page for the sheet. Have a look at all the amazing scenarios the Password Recovery add-in can handle. 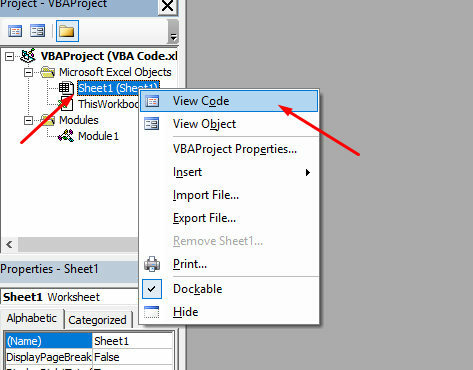 This method explained here is to educate that there is an easy way to unprotect locked Excel sheet just with few lines of Excel Macro coding. 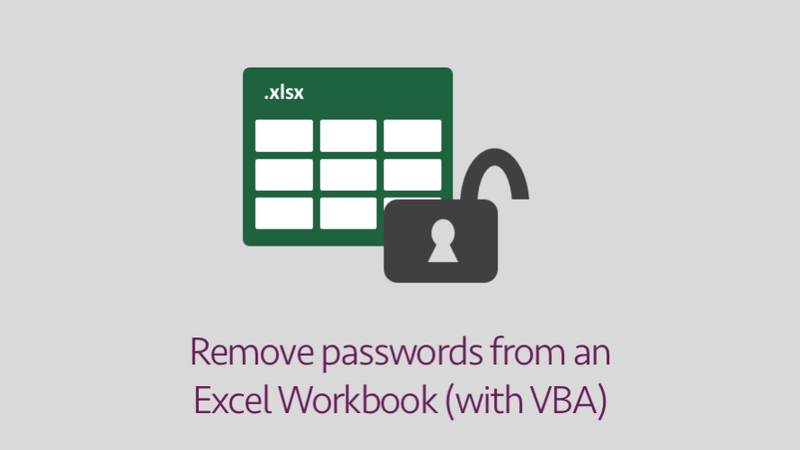 Re-protect Your Worksheet Or Workbook Long Story Short: With Excel 2003-2010 password protection, there are multiple passwords that can unlock your worksheet or workbook. An alert style box will appear with a usable code. 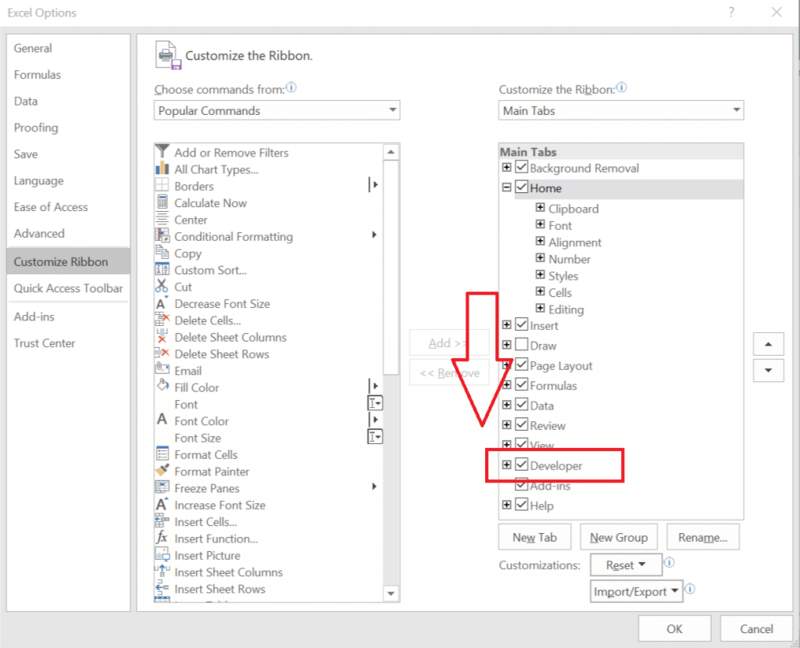 Tap on Remove Password button now and sheet password, workbook protection password and read-only password would be removed from excel file simultaneously, supposing your excel file is protected with all of these passwords. As Treb says, it's a simple comparison. You may have to before you can post: click the register link above to proceed. There are third-party software tools and services which claim to crack passwords. Tips: Surely if your xlsx file password is not so complicated and you remember part of forgotten excel open password, probably would be a better choice if you just want to recover excel file password. Insert code below into Macro editor, the declarations page. So, it is advised not to use this code to exploit or crack or hack password protected Excel Sheet data from other users, for which you are not authorized. There are programs that will reset this password but they will do this by a brute force method which could take some time. 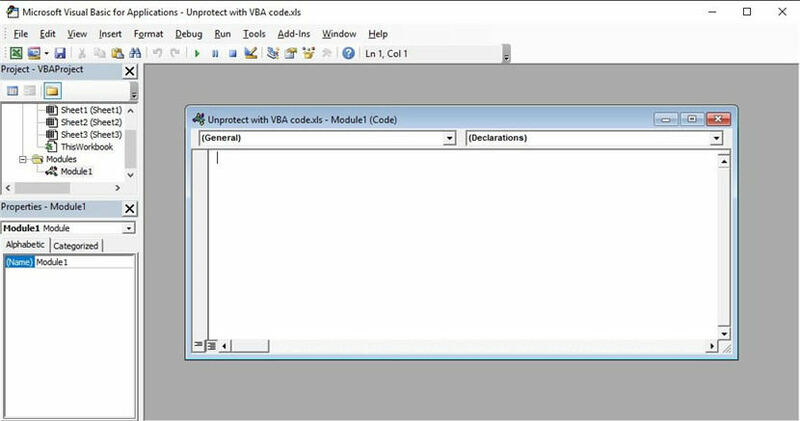 The following dialog box will appear: You can still execute the code by clicking on the command button but you cannot view or edit the code anymore unless you know the password. The encryption is weak in Excel and therefore passwords can be easily cracked no matter how complicated or how long they are. If you really want to keep your Excel files so safe, then use the method to password protect whole Excel file, explained in another article in this site. Select the Protection Tab, then tick or untick the locked option as required. 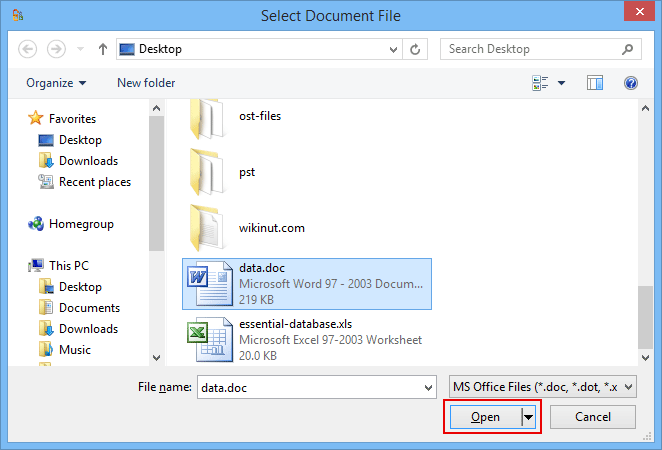 If your file is in older format, just save the file in the new Office format first. Luckily, this Excel add-in can relieve your stress in seconds as your precious spreadsheets are quickly and easily unlocked so you can re-gain access to all your valuable data and formulas. See how to compare two files. Generally, it would automatically begin to work after main program runs. Not only that, but you can specify a directory and the program will scan all Excel files in the directory, find all passwords in each document and crack them for you. Setting different types of passwords Before we even start discussing how to remove passwords, we need to understand the different types of passwords, as the removal approach will vary for each type. 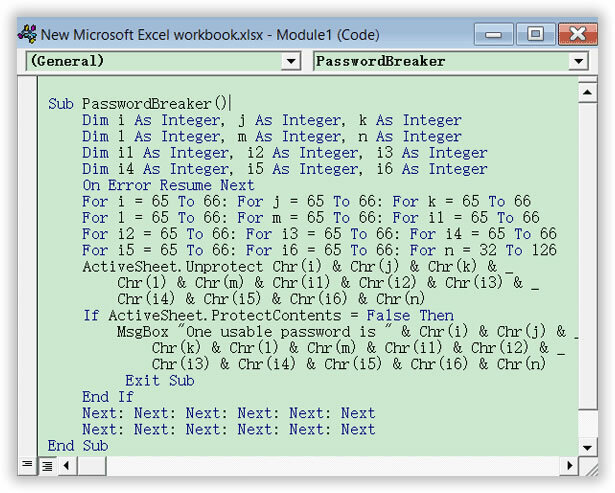 Note: This method does not allow you to recover or crack a password protect Excel Workbook. To remove the password entirely from the project. We use this daily but unfortunately the people that use it the most keep writing in the cells with the formulas. This can be a horrific problem if you are in a time crunch or don't remember how you coded something. Your boss Bob protects an Excel file in Excel 2010 that provides critical financial data. So what's there to lose? In the Review menu tab click Unprotect sheet. All the Ribbon buttons in the Password Recovery add-in do what they say to the currently open workbook or worksheet.